OurCrowd - A better way to invest in startups. Israel’s innovation is being noticed: The CEO of NVIDIA says “One of the things I’ve learned about Israeli companies is that everyone wants them” and Intel Capital president says that often Israel generates better ideas than Silicon Valley. To date, Intel has invested $435M in Israeli startups. Israel is on track for attempting its landing on the moon as Beresheet spacecraft successfully enters lunar orbit. Join me at NOAH Tel Aviv on Wednesday with an OurCrowd discount code (see below). The new weapon against money laundering gangsters: Banks and law enforcement agencies are turning to artificial intelligence (AI) to help combat the growing problem. Eilat inks deal with skyTran, taking step toward futuristic pod transport system. From Forbes: How social robots could help older patients help themselves. Below is an excerpt from OurCrowd’s Q1 Innovation Insider, which you can download here. 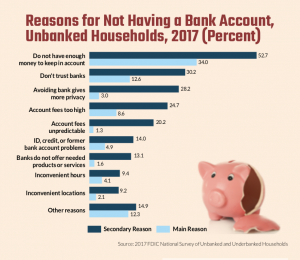 Life without banking and credit cards in 2019 can feel like a real stretch of the imagination, but for many across the globe — from the developing world to the United States — it is very real. No credit score means no financial history. No financial history means no lease. No lease means no mortgage, ever. No credit card means no e-commerce. No bank account means high fees for every cash checked. The obstacles go on and on. As the saying goes, it is expensive to be poor. For centuries, paraplegics like Israeli software engineer Adir Siman Tov, 27, had one option for mobility: wheelchairs, which can have damaging psychological, medical and financial effects. Twenty years old at the time of the accident, Adir felt a “giant black cloud” hanging over him. Then came UPnRIDE Robotics. Founded by Dr. Amit Goffer, a quadriplegic, the company is passionate about changing the lives of mobility- impaired individuals. UPnRIDE’s wheeled robotic device brings the user from sitting to standing position, providing upright and seated mobility, indoors or outdoors, over a variety of surfaces and slopes. The 2019 OurCrowd Global Investor Summit was absolutely historic! Watch some top moments in this 1 minute video and find session content, press headlines and more highlights here. Did you know: AI companies accounted for 37% of investment in Israeli tech companies in 2018 and as of the end of last year Israel had 6,673 active high-tech companies and startups? Find more stats here from the recently released Start-Up Nation Central report. On Israel and India collaboration: Israeli startup Zebra Medical Vision partners with Indian hospital to bring AI imaging to India and Israel’s Top VC Fund Loves Indian Entrepreneurs & Sees Great Potential in Technology Investing in the Country, featuring OurCrowd. Could data become a force for good to solve some of the world’s biggest problems? Data.world, the Github for Big Data, Wants To Create Positive Impact By Making Data Available To All. Acquisitions: NVIDIA Buys Mellanox To Bring HPC Scaling To Data Centers.